Question: We wish to file new application for registration of trade mark in Vietnam. You are requested to provide you all inclusive charges for registration of trade mark in break up (official fee+ Professional fee) from filing up to registration in Vietnam. – The above-quoted fees include 5% VAT of our service charge, bank charges and actual communication costs. In case of any office action or possible opposition which may occur during the application proceedings, an additional charge may be incurred, upon your approval. filing number from your final filing instruction. 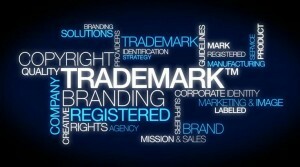 The duration of a trademark search for one mark in one class is around 10-15 working days. – An original Power of Attorney which is simply signed by the Applicant. No need notarization. Please be informed that a scanned/faxed copy of the Power of Attorney is acceptable upon filing provided that the original copy is submitted within 01 month from the filing date.